With print resolution up to 2400 x 1200 dpi, colors pop and graphics look sharp on your finished labels. The NeuraLabel 300x prints labels from 3 to 8.5 inches in width, on sheeted, fan-folded and rolled label media. 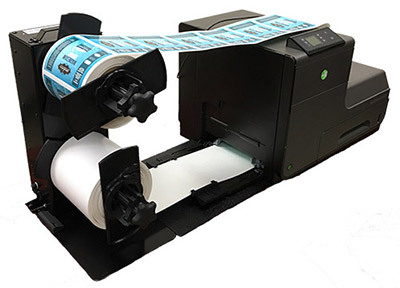 • Continuous, fan-fold, roll-to-roll and cut sheet labeling solution including label media and software expertise and support. • Print full color GHS compliant labels on blank label stock, eliminating the need for preprinted labels. • Water-resistant pigment inks ensure that your labels will meet BS5609 standards for resistance to abrasion, saltwater immersion, and UV exposure. • Weber offers BS5609 compliant labels approved for the NeuraLabel 300x. • Utilizing the most advanced page-wide print head technology, similar to the technology found in high-end digital press operations, the NeuraLabel 300x is able to print at speeds up to 20 inches per second. 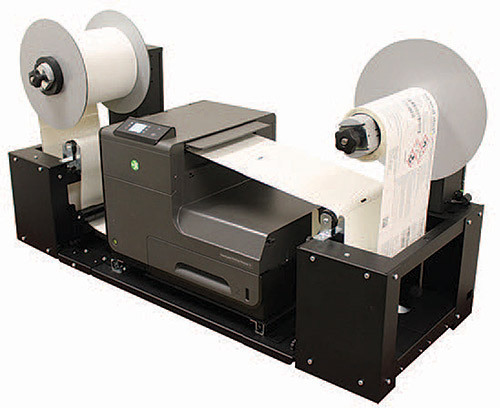 • Eliminate pre-printed inventories of labels with print-on-demand. The NeuraLabel 300x works with all industry standard labeling software, including Legitronic®, Adobe, Corel Draw, and many more. These applications have been tested by our team to ensure that they work well with the NeuraLabel 300x. The NeuraLabel 300x prints on a wide variety of inkjet compatible, pressure-sensitive label media fan-folded, roll-to-roll and sheet-fed.